Editor’s Note: The United States has been in conflict with North Korea since it invaded South Korea in 1950. For decades, it has been a top American intelligence priority to gather information and analysis on the Democratic People’s Republic of Korea. Every American President since Harry Truman has wanted better, more accurate, and timelier intelligence on the DPRK. It is an extremely difficult target, however. Its isolation from the outside world makes it a black hole for information gathering. It is also subsumed in a larger intelligence challenge: Understanding the world’s most populous country, China, the North’s most important neighbor and putative fellow communist state. This piece, excerpted and adapted from Bruce Riedel’s book “JFK’s Forgotten Crisis: Tibet, the CIA and Sino-Indian War,” (now out in paperback) surveys an early intelligence encounter in this long story. The American intelligence community’s experience with the People’s Republic of China and North Korea began with a disaster, a catastrophic intelligence failure in 1950 that cost the lives of thousands of Americans. Worse, it was a self-imposed disaster — the result of terrible intelligence management, not the poor collection or analysis of information. To add insult to injury the government of India had warned the United States that disaster loomed, but was ignored. 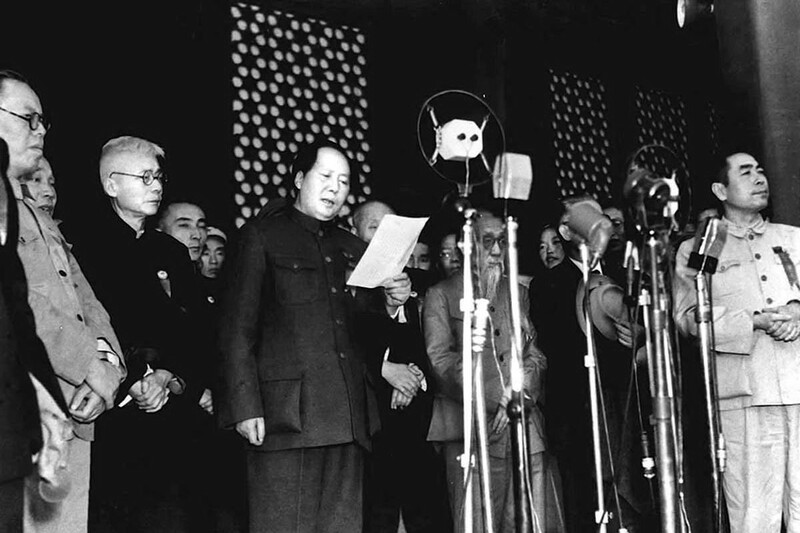 Mao Zedong formally announced the creation of the People’s Republic of China (PRC) in October 1949. A year after the creation of the PRC, Mao decided that China would enter the Korean War and fight the United States and its United Nations allies for control of the Korean peninsula. The war in Korea had begun on June 25, 1950, when communist North Korea invaded the South. Within days of crossing the border, the North Koreans routed the southern army and captured the South’s capital at Seoul. 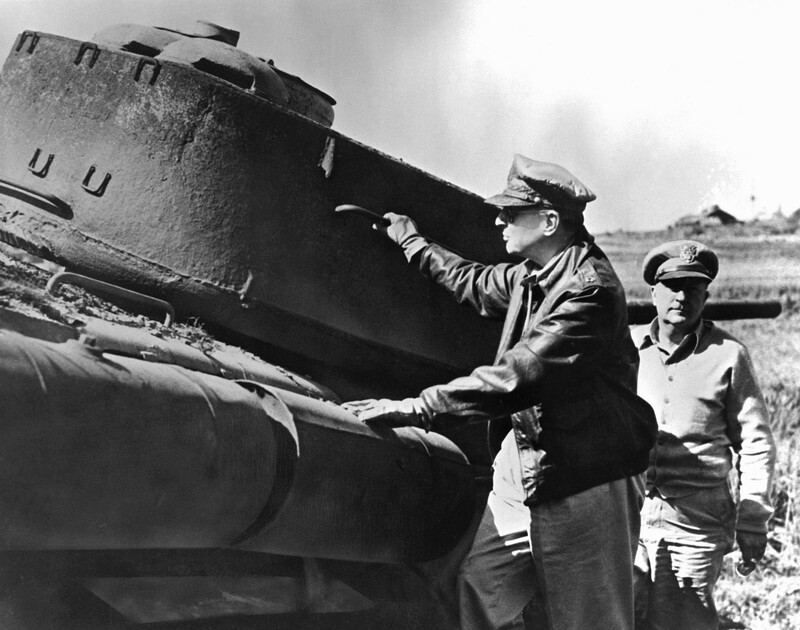 In September Douglas MacArthur, a hero of World War II, stopped the North Korean advance and then launched an amphibious attack behind enemy lines at Inchon, which recaptured Seoul and led to the rout of the North Korean army. Washington was uncertain about how to follow up Seoul’s liberation but MacArthur was determined to march north to the Yalu River and the Chinese border. Mao, for his part, decided in early October to send his army south across the Yalu River and fight MacArthur’s forces. 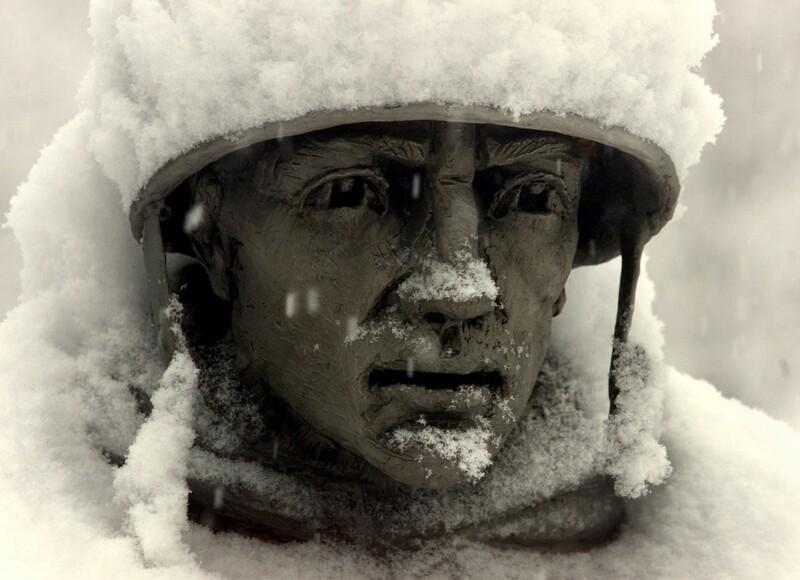 The American army in Korea and Japan, the Eighth Army, was poorly prepared for the war. The occupation troops in Japan who were rushed to the Korean front were not combat ready; many of the officers were too old for frontline battlefield conditions. Training was “slipshod and routine.” The relatively easy victory over North Korea at Inchon had reinforced a sense of complacency among the commanders and GIs that the war was all but over. MacArthur promised that the troops would be home by Christmas 1950. MacArthur had always understood that if you “control intelligence, you control decision making.” He had built an intelligence community in his area of command that listened attentively to what he wanted and gave him intelligence that reinforced his already held views. MacArthur wanted total control of the war and its execution, not second-guessing by his subordinates or outside interference by Washington, especially by the White House and the Pentagon. If his Tokyo command headquarters were solely responsible for collecting and assessing intelligence on the enemy, then MacArthur alone could decide how big the enemy threat was and thus what to do about it. MacArthur’s intelligence chief, or G2, was General Charles Willoughby, who had been with his commander since serving in the Philippines in 1939, before World War II. A self-styled admirer of the general, Willoughby later wrote a sycophantic biography of MacArthur that was more than a thousand pages long. In June 1950 Willoughby assured MacArthur that North Korea would not invade the South, despite alarms raised by then-CIA director Admiral Roscoe Hillenkoetter. In the fall of that year Willoughby’s office refused to believe or confirm reports that thousands of CCF troops were in North Korea. Even when Chinese prisoners were captured, Willoughby dismissed them as a few experts or advisers, not as group of soldiers. The G2 in Tokyo recognized that some Chinese divisions had entered the North, but argued that they were not full-strength combat units. Willoughby “doctored the intelligence in order to permit MacArthur’s forces to go where they wanted to go militarily, to the banks of the Yalu,” with no contrary or dissenting voices heard in Tokyo or Washington. The Tokyo estimate of the number of CCF forces in Korea was less than one-tenth the reality. On October 15, 1950, MacArthur had meeting with President Truman on Wake Island in the mid-Pacific. The general told the president that the war would be over by Thanksgiving and most troops would be home by Christmas. When Truman asked, “What will be the attitude of Commie China?” MacArthur said it would not intervene. Even if China tried, it could not get more than 50,000 troops across the Yalu River, MacArthur promised, citing his G2’s intelligence estimate. 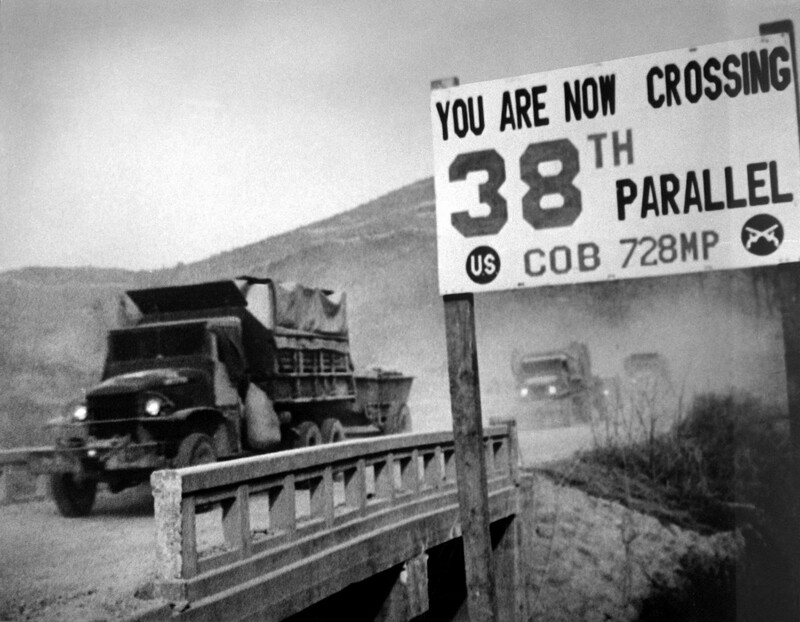 In fact, by October 19, 260,000 CFF soldiers had already crossed into Korea. Even the first encounters with Chinese forces on the battlefield did not shake the faulty intelligence estimate. In late October the Eighth Army fought a bitter and costly battle with CCF forces at Unsan in the North. The Americans were routed, but then the Chinese pulled back. They wanted to entice the Eighth Army northward to trap it far from its supply lines and to isolate it near the Chinese frontier. Willoughby dismissed the Unsan battle as unimportant and continued to claim that the Chinese would not intervene in force. So did MacArthur. The Chinese decision to trap an American unit in Unsan, then stop and regroup, would be unerringly similar to the Chinese invasion of India twelve years later in 1962 in which they used the same tactic — attack, halt, and then attack again — to defeat the Indian army. MacArthur made one of his lightning quick trips to Korea from Tokyo on November 24, 1950, telling the U.S. ambassador in Seoul there were only 25,000 Chinese troops in Korea. Then he had his return flight to Tokyo fly along the Yalu River, making possible a personal reconnaissance intended to impress the media. His report to Washington dismissed the danger of Chinese intervention. Three days later Peng’s armies struck the American forces as they were driving to the Yalu River. The result was a disaster. The Eighth Army was routed again and its South Korean allies destroyed. Thousands of allied troops died and were wounded. As the British military historian Max Hastings described later, the total disintegration “resembled the collapse of the French in 1940 to the Nazis and the British at Singapore in 1942 to the Japanese.” By December 31, 1950, the Americans had been driven 120 miles south back to the 38th parallel and were still retreating. Seoul would fall to Peng’s armies in early 1951. It was by far the worst military debacle the U.S. armed forces suffered in the entire twentieth century. A new American commander, General Mathew Ridgeway, took over from MacArthur in Korea. One of his first acts was to bring the CIA into theater to provide an alternative intelligence viewpoint from that given by Willoughby’s Tokyo headquarters. As mentioned earlier, India had tried to warn America that Chinese forces would enter the Korean War and was proven correct. From the start of the war India tried to broker a truce. As early as July 1950 Prime Minister Nehru’s government had suggested to the allies that China might press North Korea to accept a ceasefire in Korea along the 38th parallel, thereby restoring the status quo ante, if the Americans allowed Communist China to take control of China’s seat in the UN Security Council still controlled by the Nationalist Chinese government now exiled on the island of Taiwan. Washington did not take the proposal seriously. India — which refused to send combat troops to join the UN forces in Korea — was one of a small number of noncommunist governments that had formally recognized the PRC and had an ambassador in Beijing. India’s ambassador was an experienced diplomat named K. M. Panikkar, who had also written several books on the struggle against Western imperialism in Asia. In September 1950 Panikkar’s military contacts in Beijing began to warn him that the PRC would not sit still and allow the UN forces including the Eighth Army to march to the Yalu. Chinese military officials told him that Mao was prepared to risk nuclear war to stop those forces from advancing. The Indian embassy in Beijing reported that trainloads of CCF troops were moving to the border region, and the Indian government passed these reports on to Washington and London. On October 2, 1950, Panikkar was summoned at midnight to meet the Chinese Prime Minister Zhou Enlai, Mao’s closest confidant. Zhou told Panikkar that if American troops crossed the 38th parallel China would intervene. At 1:30 a.m. Panikkar cabled the warning to Nehru, who had it sent to the UN allies. The British were particularly alarmed by the Indian message. The United Kingdom and its Commonwealth allies had the second largest contingent of troops — two brigades — in the UN force in Korea. The British were also worried that provoking China in Korea could lead to a Chinese attack on their colony in Hong Kong. The stakes were high for London. The British Joint Chiefs of Staff were led by the commander of the British forces in India and Burma during World War II, Field Marshal Sir William Slim, who knew a great deal about China. Slim had been worried since July that moving north of the 38th parallel would provoke Chinese intervention. When Panikkar’s message arrived in London it considerably reinforced the joint chiefs’ anxieties. The British intelligence community, led by the Joint Intelligence Committee (JIC), which prepared synthesized estimates for the prime minister, was more cautious and thought that Chinese intervention was still unlikely but possible. It dismissed Zhou’s warning as not being specific enough. As the JIC noted in late 1951, the British intelligence community in 1950 did not yet understand that Mao was the only real decision maker in Beijing and that he was making his decisions based not on Western thinking about global politics but on his own view of China’s interests. The JIC’s watered-down warning did not reassure the British joint chiefs, who kept sounding the alarm in London. In Tokyo MacArthur and Willoughby completely dismissed the Indian warning as merely communist propaganda delivered by an untrustworthy source. The CIA analysts in Washington were more inclined to accept Panikkar’s warning as genuine, but being heavily influenced by the view from Eighth Army headquarters they also thought Chinese would not intervene in force. The CIA did prepare a National Intelligence Estimate, the collective opinion of the entire intelligence community in Washington, on November 6, 1950, titled “Chinese Communist Intervention in Korea;” however, it assessed that there were only 30,000 Chinese troops south of the Yalu. An update on November 24 put the number at 70,000 in just four divisions, an estimate still wildly off the mark. In any case, the CIA, assuming that the communist world was a monolith in which Stalin dictated all the moves, believed that the decision to intervene in Korea would be made in Moscow by the Soviet leader. What the agency did not know was that Stalin was encouraging the Chinese to fight, while promising only very limited Soviet aid and assistance — not troops — for the war. Stalin did not even promise to provide any air cover. Mao was angered that Stalin would not send Russians to fight, but decided to strike anyway. The dispute over Korea added fuel to Mao’s distrust of Stalin and exacerbated the emerging Sino-Soviet rivalry for control of the communist movement worldwide, but that was still a secret to outsiders. The catastrophe on the Yalu would have a lasting impact on American thinking about China for decades. Coming after the communists’ victory in the Chinese civil war, the Korean debacle fueled a domestic political debate over “who lost China” that pitted the handful of China experts in Washington against a powerful lobby that argued the China hands were either soft on communism or, worse, were communist agents serving foreign interests. Led by Senator Joe McCarthy and Congressman Richard Nixon, the right wing of the Republican Party fought any effort to rethink American policy toward China, to give the PRC the UN Security Council seat, or even to talk with China for the next two decades. Ironically it would be Nixon who finally implemented all of these changes in 1971. The Korean War was crucial to framing American impressions that China was a ‘crazy’ communist state that was even more dangerous than the Soviet Union and much more inscrutable. The Chinese communists were perceived as reckless and ready for nuclear war. Talking to them was considered a waste of time and possibly immoral. Mao came to be seen as an irrational but cunning leader. The war also galvanized the CIA to look for ways to strike back at China, both to weaken the communists’ hold on power and to divert the country’s attention internally to domestic unrest. The CIA wanted to demonstrate to the next U.S. president, Dwight David Eisenhower that it could do better than the Tokyo intelligence operation had done in 1950, not only by analyzing Chinese behavior and intentions more accurately but also by actually running covert operations inside the PRC to weaken it. Tibet would be chosen battlefield. The Yalu disaster was completely predictable. The intelligence failure was the result of a policy maker’s determination that intelligence support his preconceived views, not challenge them. It is a timeless lesson. This post originally appeared on brookings.edu on September 13, 2017.